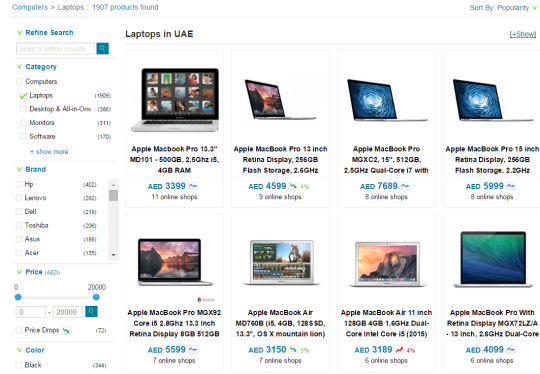 After buying an iPad from a UAE-based deal website, and later finding a better price for the same device from another website with a faster delivery rate, Haneen Dabain started to look for price comparison sites, which are quite common in the U.S. and Canada. The result? There wasn’t one to be found in the UAE- and so Dabain decided to build it. With their business model to charge store fees for leads (web visitors) they generate and provide market intelligence services to give stores insights on their visibility in the market, the site aggregates price information from online stores, before doing a quality check process on each site to ensure a good customer experience. What do you think are some interesting consumer trends? 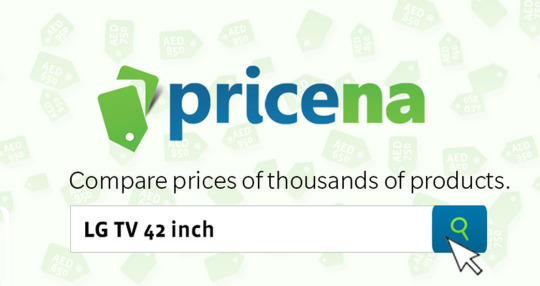 Consumers are generally price sensitive, and 87% of shoppers on pricena go to one of the cheapest three stores for a certain product. There is a general trend of retailers to compete in the top ranks. However, there are still some stores that choose to stand out by customer service, speed of delivery, warranty and other factors which consumers still consider when making their buying decision. Finding the right resources and building a team for your startup is definitely one of the main challenges. In terms of funding, options do exist but finding the right investor and the right deal can take time, and can be a full-time job. Finally, marketing the product is always a challenge and can be one of the highest expenses for a tech startup. First, find the right partners to start your business. If you are a heavily tech-focused company, find your co-founder and CTO, as it will be hard to build the product without a fully committed technical partner. Second, focus on your core offering before expanding to other areas. I really think what kills a business is lack of focus. As a founder, you need to dedicate your time on experimenting and growing your main business model/ service offering. Once you have built and proved your main model, you can then leverage the traffic and product you built to expand into other complementary areas. Finally, do your research and plan well before jumping onto your idea. You need to research the market, the competition and develop your unique differentiator. Make sure you have a unique (or better) solution than what is currently offered. For sure, testing, failing and iterating is what entrepreneurship is about, but proper research and planning is also important to increase your chances of success. Can you name a MENA-based startup initiative/incubator that you think has been making a difference in encouraging and supporting business endeavors in the region, and why do you think so? AstroLabs seem to be very active in the region, and I think what differentiates them is that beyond office space, they give hands-on courses to entrepreneurs to scale their online startups, explaining about the tools and resources they can use to do that. This is particularly effective for first-time entrepreneurs who need more than mentoring or guidance. How about a MENA-based startup that you think is doing exceptionally well? Why do you think so? Careem is one of the successful businesses that have managed to take an idea from outside the region, and implement it successfully. Even with their main competitor Uber expanding to the region, a challenge that other startups might shy away from, they have managed to strongly compete head to head with them and grow their business. They are also expanding heavily in the region and have a clear vision of what they want to achieve. What were your biggest lessons from your endeavors? You have to be patient when your business is trying to change the status quo and requires consumers adapting new behaviors, as it might take time to educate the market about your value proposition. An entrepreneur by definition is a risk taker who challenges the norms. However, I believe an entrepreneur should also be a “risk minimizer”, as there are always things you can do to minimize the risk before you fully jump onto an idea, such as proper planning, doing your research, understanding the market, testing and experimenting your idea before a full fledged launch. What devices and apps do you often use? I have a Samsung Galaxy S5 which I bought using pricena from one of the listed stores! I got it the next day and saved AED400 (compared to the prices at the malls). I use Asana app to manage tasks, and Pulse and Twitter to stay up-to-date with technology and startup news. I am also trying a new tool called Slack that got a lot of good feedback from companies globally.